Millipedes are like centipedes in many ways, just longer and less flat. Their bodies are cylindrical and worm-like and they can measure anywhere between two and 160 millimeters in length. Their name, translating to “thousand-leggers”, isn’t quite accurate. In reality, millipedes can have anywhere between 30 and 100 pairs of legs – but not one thousand. They’re nocturnal scavengers, preferring to feed on decaying plants and dead insects when they can find them. They’re not dangerous, categorized more as nuisance pests than otherwise, but they do have their own special brand of trouble. Many millipede species are capable of giving off a gross-smelling fluid through openings on the sides of their body. Not only does this smell, it can also be toxic to pets and small animals. Long story short: a millipede infestation is nothing to ignore. Why do I have millipedes? 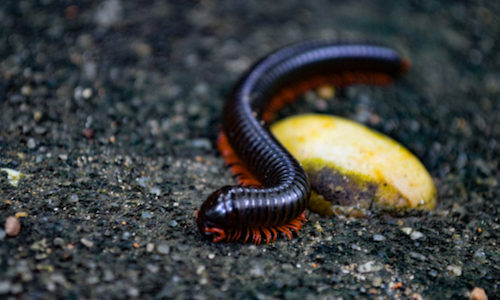 Millipedes are most frequently drawn to decaying plants and dead insects. If you have found them infesting your home, it is likely because they’ve found a reliable source of one of these two things. They also must have found a way inside to access them. How can I prevent millipedes? The best way to prevent millipedes from infesting your home is by reducing the areas of moisture that draw them in. If you have certain areas, like an attic or basement, that tend to be damp, we recommend running a dehumidifier. Another way of reducing moisture is keeping your lawn regularly mowed and paying attention to piles of wood and leaves to make sure they don’t rot. How can Gregory Pest remove millipedes from my home or business? 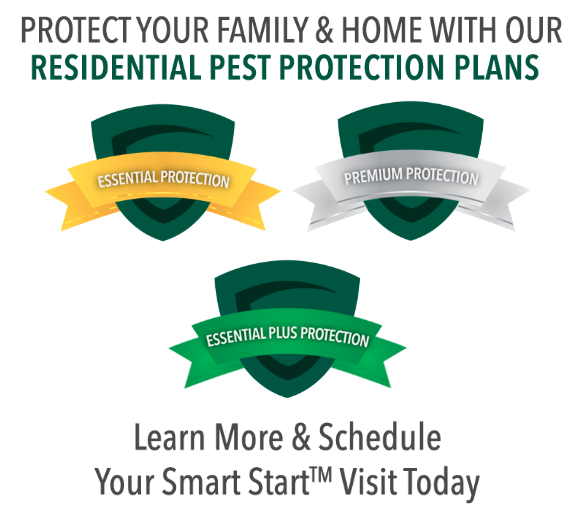 An expert exterminator from Gregory Pest Solutions will be your full-service pest solutions provider specializing in the effective, humane removal and prevention of millipedes and their nests from your home or business. When you hire us to evaluate how extensive your home’s pest problem is, one of our pros will be sent to assess the situation and then formulate an environmentally friendly plan for removal and prevention. Once we implement our plan, our experts will clean the area and seal any openings that are prime for future nests so you and your family can enjoy a lasting insect-free environment.